This model was introduced in 2018. The dial is crafted from solid silver and graced with solid-gold appliques and hour markers. The hands are made of rhodiumed gold and blued steel. The hour and minute hands as well as the hour markers at 3, 6, 9, and 12 o'clock are luminous. Price: 141.800 €* *Recommended retail price in Germany including VAT. Non-binding quotation, prices subject to change. Holding our timepieces in your hands is always a memorable experience and a unique opportunity to feel their high quality. Please contact us in advance so that we can check the availability of the timepieces you require. With a comparatively small amount of palladium, the yellow colour of gold is transformed into a silvery white. 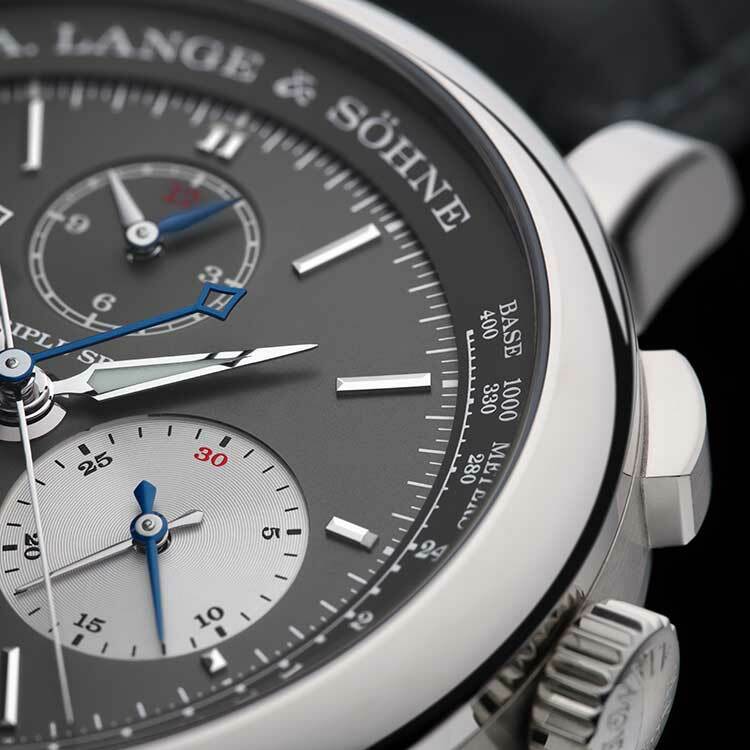 The UP/DOWN power-reserve indicator is one of the traditional elements of our watches. 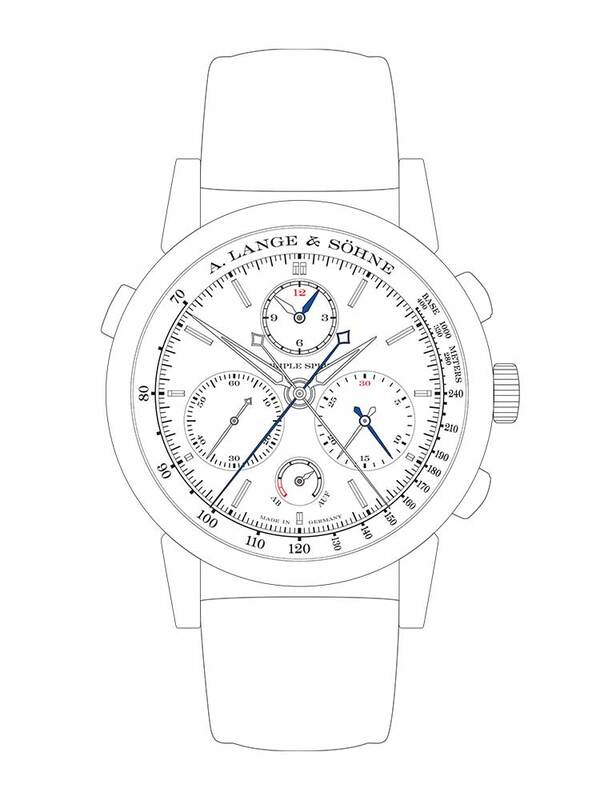 It had already endowed many historic Lange watches. A rattrapante chronograph allows comparative, lap-time, and reference value measurements as well as fastest/slowest evaluations.